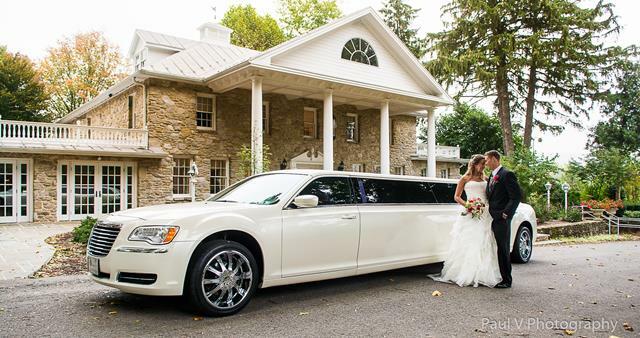 Premiere #1 Limousine of Middletown is Central PA’s wedding limousine service provider. With over 10 years of serving brides and wedding guests in Harrisburg, PA and the surrounding areas of York and Lancaster, PA, Premiere #1 Limousine has an outstanding reputation of delivering high-class, quality wedding transportation services at competitive package rates. Add to your special day with a luxurious limo. 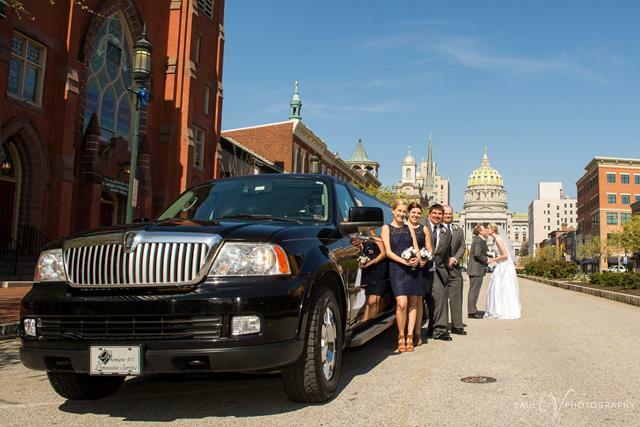 If you’re having a wedding in Harrisburg, PA, you can arrive and ride off in style. 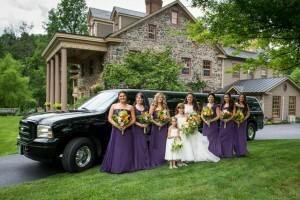 Why Choose a Wedding Limousine Service for Your Wedding Day? If you’re on the fence about using limo services for weddings, you may not realize all the great benefits having a stylish, great-looking limousine at your disposal can bring. 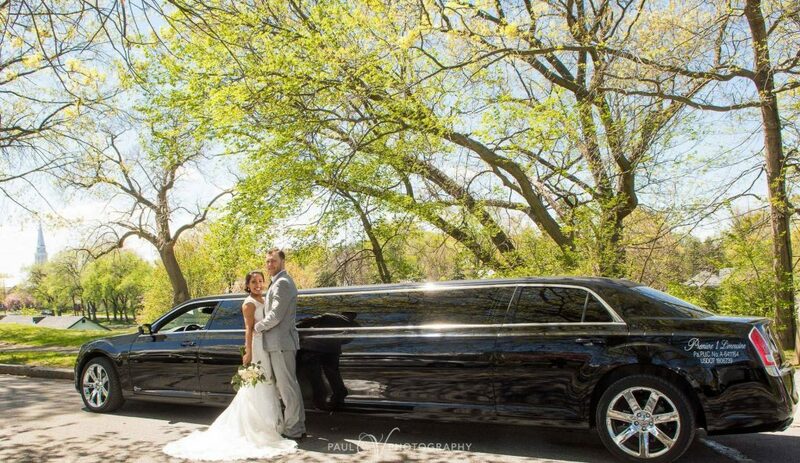 Here are a few reasons why a wedding limousine service is a great idea for your special day. How often do you get to ride in a limousine? Your wedding day is the perfect excuse. A limousine is the opportunity to arrive at and leave your wedding in luxury and style, and is the perfect way to let everyone know how special this day is to you. There’s a lot to think about on your wedding day, and what you want to focus on is your loved one and the bond you are about to create together. When you have a limo ready and waiting to take you to the venue, you can relax. Enjoy the comfort of one of our luxurious limousines without having to worry about leaving and arriving on time, finding the venue, navigating traffic and all the other headaches that come with driving yourself. 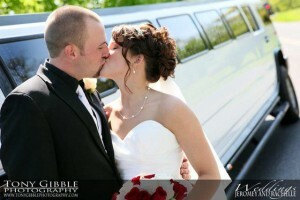 While limo services for weddings may seem like an extravagant expense, it will probably actually save you money. Our limos can take about 12 people comfortably, so you don’t have to worry about arranging and paying for taxis or car services for a bunch of relatives in from out of town. You can just bring them along in the limousine. Nothing is more stressful than getting to the wedding venue and realizing that an important member of the party has not arrived. Did they get caught in traffic? Get lost? Oversleep? When you bring the whole party with you in the limo, you know everyone has arrived on time and is ready to go. You can even go over everyone’s responsibilities on the way over to make sure everything is set. You don’t even have to worry about wedding party members being delayed while they all search for places to park, because there’s no need to park. You can all just get to the venue together and go right into the proceedings. Your wedding day is a wonderful, amazing day, but it can also be a stressful one, and not one when you or your intended should necessarily be driving. You have a lot more to think about than all the careless drivers out there on the road. A trained, licensed limo driver behind the wheel is just what you need to be sure you’ll get to and from the venue safe and sound. Amid the swirl of excitement on your wedding day, we offer a serene, enchanted journey from the ceremony to the reception and beyond. After the magic of your first kiss as husband and wife and your walk past smiling relatives and guests, your luxurious wedding limousine and private chauffeur will be waiting for you both. Step in and sink into the elegant comfort of a Premiere impeccable limousine. Steal your first private embrace of marriage. Gaze at each other with all the wonder and delight of beginning your lives together. Your first moments of the most memorable time of your life are spent in the journey from your wedding to the reception. Trust this time to Premiere #1 Limousine. 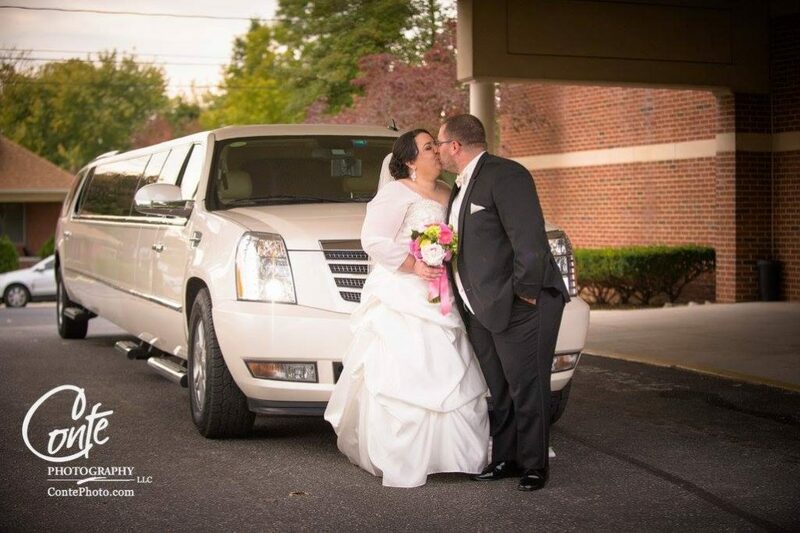 We believe that our wedding limo service makes all the difference. You’ll experience the highest level of professional wedding transportation, and your chauffeur will go out of their way to exceed all of your expectations. Limousine service for the bride and groom is only part of the transportation to consider for your special wedding day. 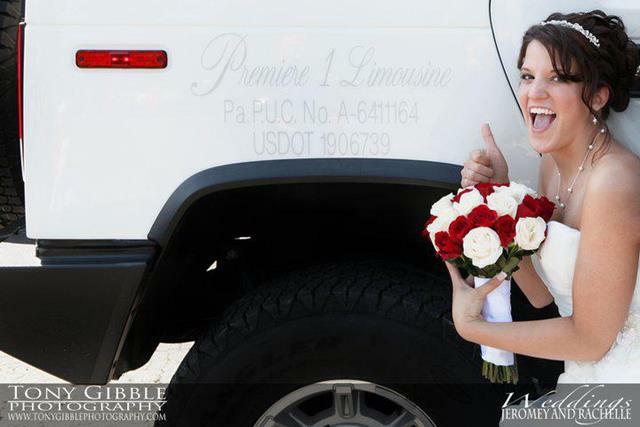 Premiere #1 Limousine provides transportation for all of your special guests to and from your celebration. Friends and family arriving early? Send them on a Wine Tour. And of course, we will offer safe and reliable transportation back to the hotel from your wedding reception in a luxurious limo. 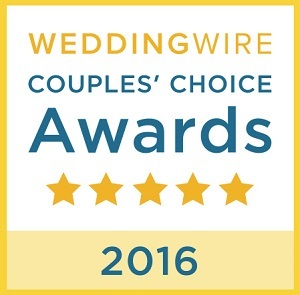 Harrisburg, PA area newlyweds, take comfort in our accredited service. 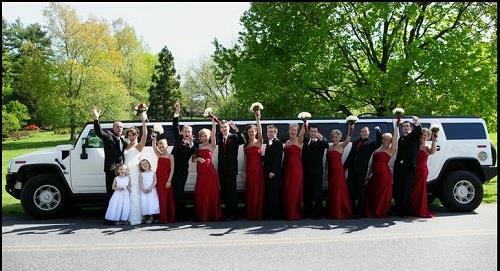 Don’t forget that many of the things that make limousine services for weddings a great idea, like safety, convenience, and style, also make them a great idea for other important events like bachelor and bachelorette parties. 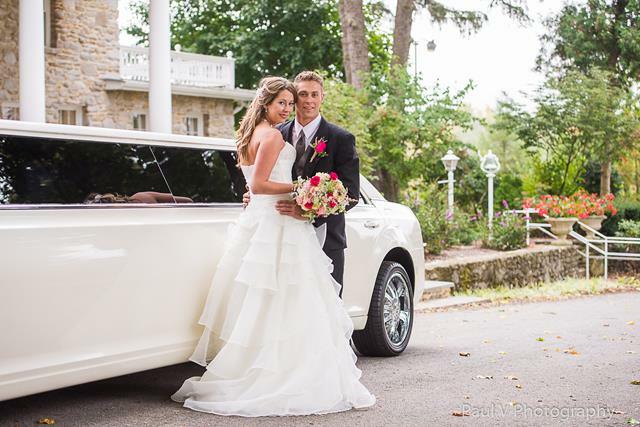 Limousines make special days even more special. 24/7 in-house operations ensures you will always speak with a live person anytime you call. Over 30 privately owned vehicles – large enough to take care of your every need, but personal enough to make your special day extraordinary! Be sure to check out our Frequently Asked Questions page where we answer questions specifically about your wedding day transportation.